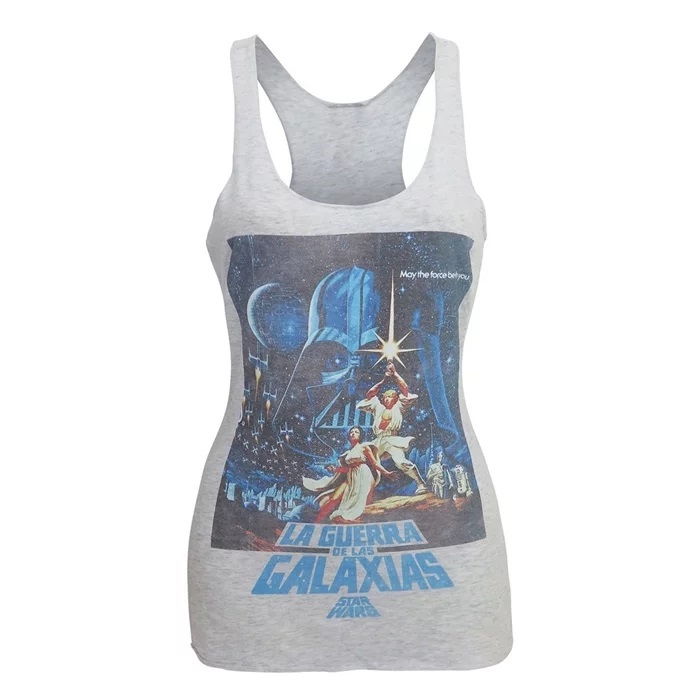 This women’s Star Wars Spanish tank top is now available at SuperHeroStuff. 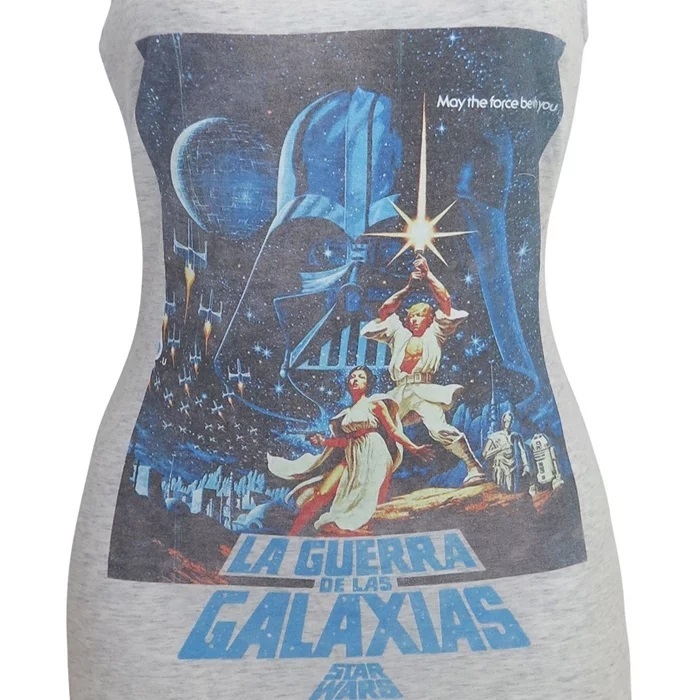 The heather grey tank top features a front print of the classic Hildebrandt brothers A New Hope poster artwork, with the text ‘Star Wars’ printed in Spanish – ‘La Guerra de las Galaxias’. 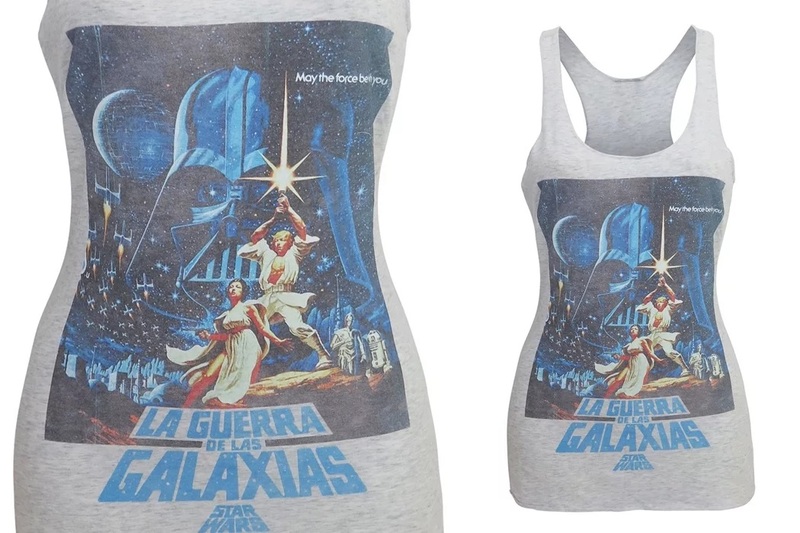 Made from 50% polyester, 25% cotton, and 25% rayon, this extremely light and airy Star Wars tank top for women features a purposely faded iteration of that familiar image. 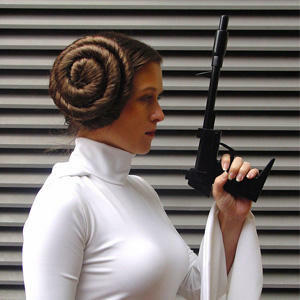 Available in sizes S to XL, the tank top is priced at US$23.99 each – SuperHeroStuff can ship internationally.